A dinner EVERYONE should support! 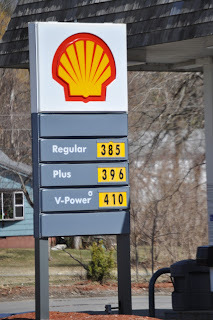 There are certain things that, to me, everyone in Sharon should make an attempt to support. There are the monthly pancake breakfasts at the firehouse, which benefit the Ambulance Squad. There is the annual book sale at the library the first Saturday in August. And of course the crafts fair (formerly known as the Clothesline Show), also held the same day. Well, this Saturday, the second of April, is another event I really believe everyone should rally around and support. 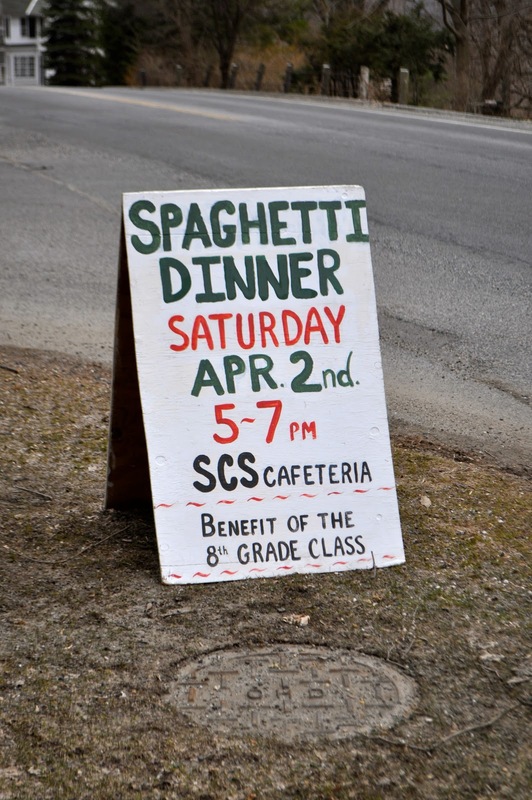 It's time for the annual 8th Grade Spaghetti Supper, held in the Sharon School cafeteria. The kids use it as a major fund raising event to help sponsor their annual class trip. Having no students there for some time now, I am not sure where they are off to this year. Maybe Washington, D.C., or Hershey and Gettysburg. Boston perhaps? Wherever, the food is usually pretty tasty, the desserts are home made, the students are the waiters and waitresses and do quite a good job normally. And did I mention the raffle? 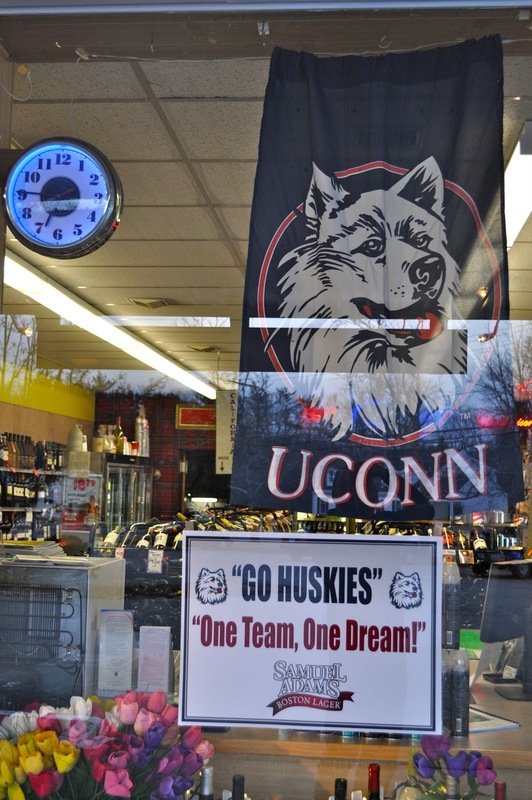 They usually have a slew of great prizes, and it's almost like everyone goes home with something (sometimes). So, if you can, please join in to support our kids. Even if you just stop in and throw a $5 in the raffle basket. 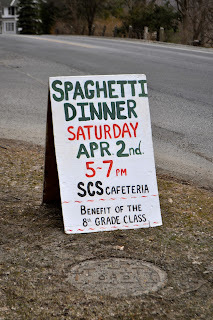 Please, support the SCS 8th Grade! 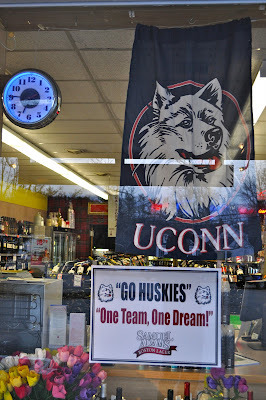 `that the folks at Rick's Wine & Spirits in Sharon are rooting for The UConn Huskies Basketball teams, both the girls and the boys teams, who both happen to be in their respective Final Fours!!! Came upon the Jacquier crew up on Hamlin/Dellenback's land treating the acreage with what I assume to be some good fertilizer/nutrients. The ground looking brown and greyish today will probably be green before we know it. Of course, I think we may have to go through some snowstorm possibility thing this Thursday-Friday. Oh joy. Out like a lion? Okay. I know. I'm going out on a limb here, but I watch one tv show, with any degree of regularity. This is the one. Castle. Totally entertaining(in my book). Monday evenings, at 10, on ABC. Check it out if you haven't. Go to the ABC website, and you can watch old ones to catch up, if so desired. Guess what I did today? I took our christmas tree to the transfer station! About time, wouldn't you say? No I didn't just take it down. It had been out behind the barn in a snowbank.When I dropped it off, I had to pause for a second as the backhoe was loading the composted leaves from last fall into a dumpster for removal. Not sure where they go with them, but I bet plowed into the ground, it added some good nutrients to the soil someplace. 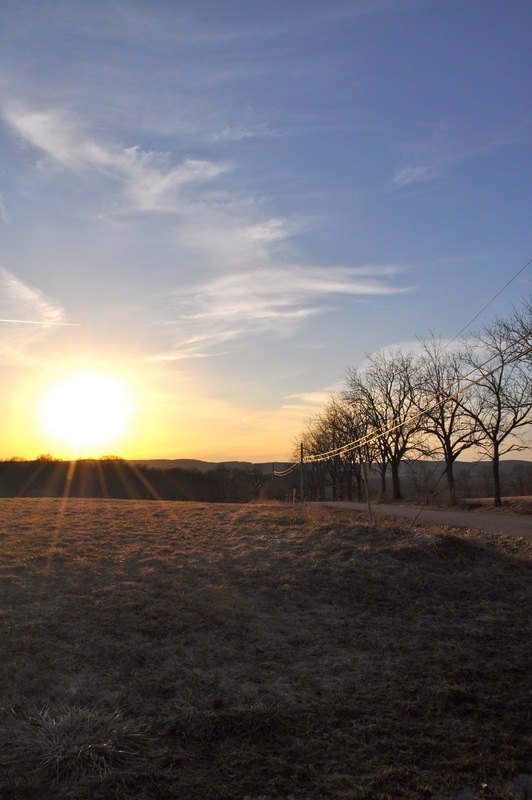 why no solar in Sharon? So I went down Still Meadow very recently (Friday-8:15AM) and well, to say the light went off, would be a bit of an understatement. 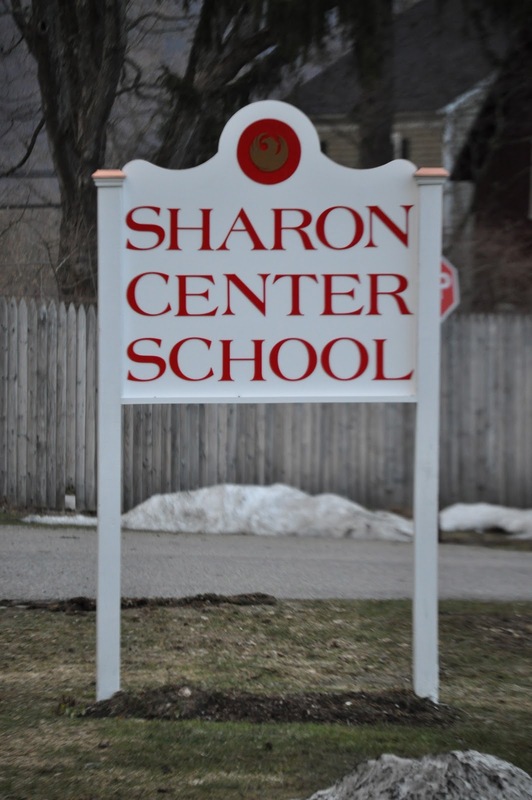 Why oh why isn't the Town of Sharon, and Sharon Center School in particular, doing something solar? You have a building roof which has full sun exposure from early morning to late in the afternoon, seven days a week, 365 days a year. And we do nothing? Heck, I remember being a student there forty plus years ago, and we had to close the shades to keep the heat out (uhhh---hello!) There were blinds in the 50"s wing,(now the upper grades) and roll-down dark green-backed shades in the original building (now lower grades). And that was the days of single-pane glass. 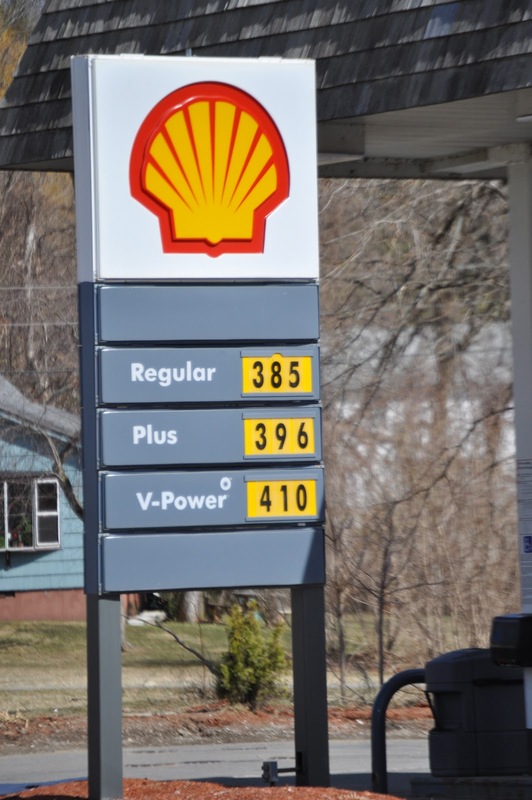 Come on Board of Education, and Town of Sharon officials. Make a start. Do some research for something large, but can start small. Show our kids. Show our parents. Show our community. You get enough bad publicity without even trying. Why not be pro-active, and get something good started? Cornwall has. Lead by example. It's not too late. Fact is, it's probably the very best time! Met up with friends over in Millerton @ Irving Farms Coffee House for a fun evening. Local group Wooden Nickel (Lance Middlebrook, Chris Shamkin, John Mathews and Ken Hafford) was playing some really good music to what turned into an almost standing room only turnout group of happy patrons tonight. Ken's hiding in the corner behind his congas...Young and old had a great time this evening! Kept up on the ipad™ to "the game" and gave a big hurray when the final shots all missed! catch us if you can........"
"My mother says I'm cute! My master likes me. His son likes me. I'm a good guard dog. Nobody touches this car. Take my picture if you want. And I wouldn't advise stickin' your finger in the window......"
Here you see local contractor Tim Hansen, with his sander ready, getting ready to do what he's done a lot of this season around here. 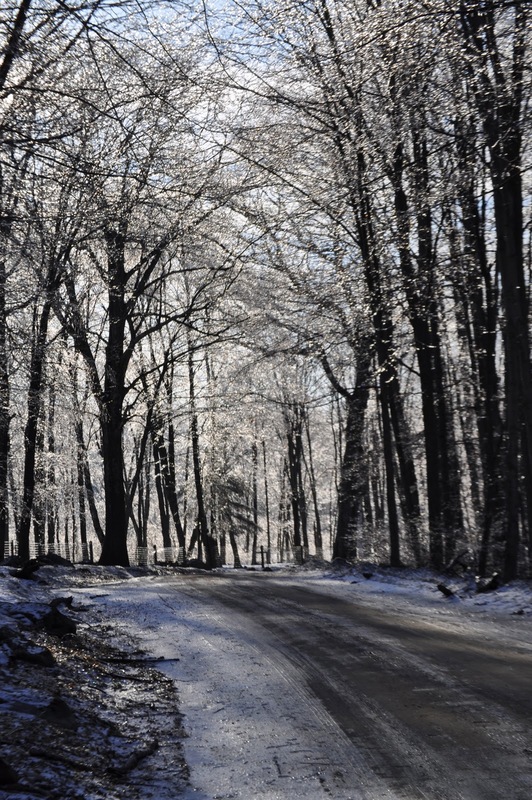 Deal with more snow and ice. Me. In the words of my father......"I hope it rains hot water". A new blog friend, whom I have never met (but hope to), currently lives in Cornwall, Connecticut. She is a Pastor in the UCC and is getting her first church assignment (beginning next month I think) out east, south of Boston. She has a blog, (http://www.thestrengthoffaith.com/) which I stumbled onto last year one cold winter day while at work. I got there I think looking for blogs or photos in northwest Connecticut. What I enjoyed about it then, and now, is her photography. If I have read it correctly, she is pretty much a self-taught photographer. She must always have her camera with her, because she always has some amazing shots, from nature, to family, weather results and all kinds of activities, and just a ton on FOOD! And some of those just make me want to not look at her blog, because I know I'll only get hungry in a heartbeat! Okay, with all that said, I never got a shot of anything worth commenting on today (it was cold and grey, snore...), so I am going to do a Reverend Sarah. I am putting up a shot of supper one night last week, when Cat was home for spring break and wanted a special request dinner. Baked chicken, mashed potatoes, stuffing, squash and cranberry sauce. And a little glass of white wine to accompany. Delicious. Oops, forgot...had a little gravy too! Why is that snow which falls in mid-to-late March around here (for the most part) doesn't look anywhere near a nice as snow that falls in December and January? ( if snow looks nice then!) Today's snowfall was, well, unneeded to say the least. Down in town it pretty much just covered the grassy surfaces, while when I got home there was a good heavy inch on everything......roofs, trees, sidewalks and driveways. Yuck! Things were just starting to look almost brown around here! Oh well. More snow coming for Wednesday and Thursday I am told. Guess I'd better bring those snow shovels back to the front of the barn. Hrummpf! Yes, it was colder, and the forecast is, well, I would rather not say what I just heard for after midnight and tomorrow, so I just concentrate on the beauty of this day. Hope you all got to enjoy it with your friends and/or families! Closest to earth in more than twenty years. Fourteen percent larger therefore to the viewer. 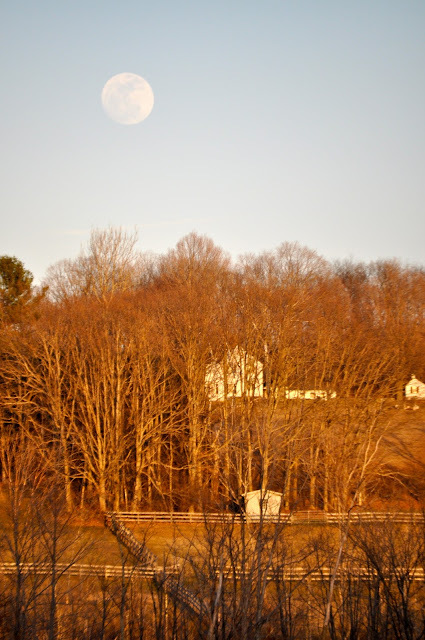 Full moon tomorrow, Saturday, with it rising in the east just around sunset in the west. Blarney! It's that day of the year when I guess a whole lot of celebrations go on around the country. 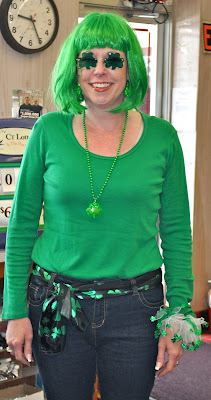 Today I was greeted by this little leprechaun bright and early who just stopped in to show me her outfit. Glasses, earrings, necklaces and more. This young lady really celebrates all those "fun" holidays with great exuberance! Halloween finds her with orange hair and apparel, and others days are also full of fun and games. I admire her for having fun with the day! I hope your day was full of good fun too! Did you all see it? It was there. I saw it, though briefly. I, quite frankly, am amazed that I was able to capture it in this photo. It promises to hopefully be visible for a greater time for all of us tomorrow. It has been such a rare sight for such a long time, that I so looking forward to it. What am I talking about? The sun!! Will Irish eyes be smiling? ~especially ones as nice as this one. 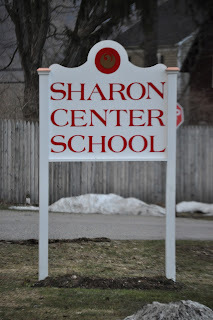 Was going over Hilltop Road today when I saw that there is a new metal roof on the gym at Sharon Center School. Also saw there is a new sign by the road. I know, they both probably have been there since last summer, but I guess I keep my eyes on the road when traveling thru there. Remember this, from September 14th blog entry? Remember this from last month? vatt....you still got icy trees? ~actually no, they pretty much blew off this morning. I'm posting this tonight as I just got in from two plus hours of pumping out a dear friends cellar, which, on their way to Ash Wednesday service at 7 found about four to six inches of water in the cellar, headed for the burner motor and well pressure-pump. After service I rushed home for boots, hose, extension cord and my utility pump I bought twenty-three years ago incase I needed it. Took it out of the box tonight for the first time. Worked like a dream. Figure in little over two hours I pumped about 3500 gallons out the cellar window. I called it quits, but feel good about the remaining level. Will check in on them tomorrow some time. Hey, what are friends for? G'nite! Sunday the sixth was a day of heavy rain, with dropping temperatures as the evening progressed, and well after dark it turned to icing. The eastern edge of Dutchess County was hammered and parts of Sharon received its fair share of icing. Today I traveled around the "mountain" and Ellsworth...hope you enjoy a few of the sites..... Be sure to click on a picture to enlarge if so desired. 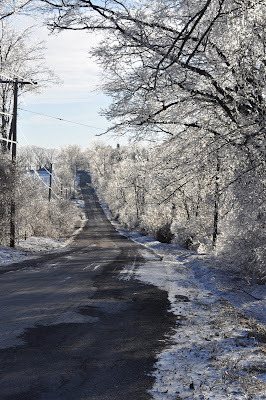 In Sharon, it was pretty much picturesque, while parts of Amenia, Millerton, Pine Plains, Copake and Millbrook are digging out from tremendous tree damage and long power outages. Today and tomorrow are nice, but the forecasts speaks to more heavy rains on Thursday. Let's hope the temperatures stay up. I have more shots I may share in the future, just to pass along some more of the ice-scapes. it apparently is another world. Power is out in Miller-tron till maybe a few days from now. And Pine Plains. 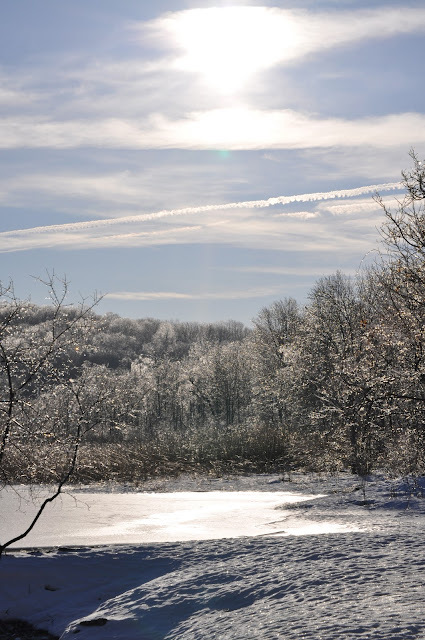 And Copake. And Millbrook. 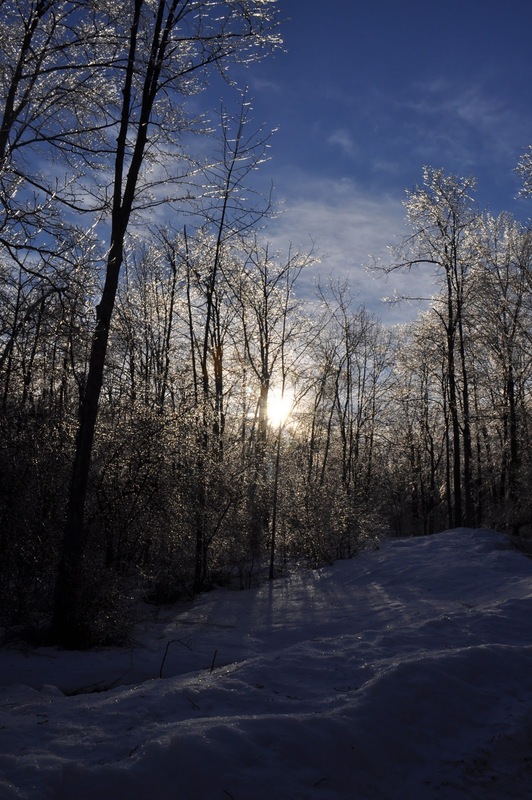 Tremendous amount of trees down due to the ice and winds. If there is a silver lining, it's that it is March, and a tad warmer than say, January. Hopefully, our neighbors will recover sooner than later and bounce back from natures wrath. This little guy was the culprit for our outage this morning, from before six, till almost noon. 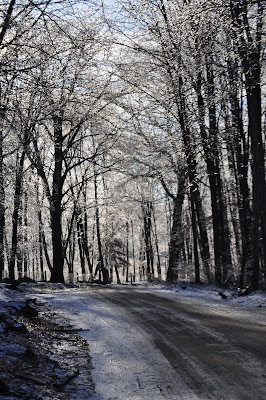 Our drive was a lovely glistening display this afternoon. Clare was able to snap a few pic's in the sunlight. I hope the sun shines brightly tomorrow morning. Understated I guess, compared to Miller-tron and others, but, for once, that's okay with me. "Canada Goose Flight 1464, requesting a fly-bye...."
"Negative Ghost Rider..the pattern is full....."
It's March.....Go fly a kite!